Hello friends! I have been busy organizing, purging and throwing things away in my craft room. It's a big job and will take me awhile to get it all done. But I took sometime to try to create a card with a "love" theme. I kept things pretty simple but feel like this card turned out pretty good! The supplies I used for this card are all from Crafter's Companion. I used the Contemporary Lace 3D embossing folder for the white panel. The patterned paper is from the Peony Collection 12 x 12 paper pad. I used the Love Expressions die for the sentiment that I die cut from white glitter luxury cardstock. I added some mini brads and a twine bow. These supplies were recently on the HSN (Home Shopping Network) crafty day so they aren't available on the Crafter's Companion website yet. They will be soon but you can check out HSN HERE for these supplies if you are interested. Creative Mojo and Quirky Sentiments!! Hello friends! I haven't really posted about my design team commitments lately but thought I would give an update. Right now, I am designing for Crafter's Companion. To be honest, I am not sure how much longer they will want me just because I have been going thru a creative dry spell lately. It's been like pulling teeth to design anything and what I have designed is definitely not my best work. That being said, I am trying to kick up my creative mojo by organizing and purging my craft room. It's been a long time since I have cleaned, organized and purged. I have been so lucky to receive such wonderful products from different companies but an occasional purge can be helpful. So in the next week or so, I hope to post some Destash videos with things to sell. 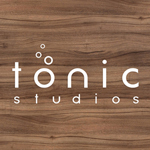 I have piles of Tonic Studios dies, Heartfelt Creations dies & stamps and other goodies that I will be selling. Hopefully getting control of my crafting stash and not feeling so overwhelmed by the sheer amount of stuff will help me get back to being more creative! Wish me luck!! If you have a friends who loves to drink Gin & Tonic then this stamp set is just for you! There are other Quirky Sentiment sets that include Prosecco and some just plain Quirky sentiments. I had fun creating these thinking of a couple of friends I have that would get a kick out of these two cards. If you want to check out the Quirky Sentiments that Crafter's Companion featured on HSN (Home Shopping Network) you can see them HERE. Thank you so much for stopping by today! I really appreciate all of you checking out my blog and projects. Please check back or subscribe to my YouTube channel to see the Destash videos that I will be posting soon. Hello friends! Have you been busy creating a bunch of projects for this new year? To be totally honest, I haven't created anything yet this year! My creative mojo seems to have taken a vacation and I haven't really been feeling like creating. Have you had times like that? I am going to try to plow thru that and get back to creating. I know one of the things that might help me is to purge this craft room. So while I am purging and cleaning/organizing, I thought I would share a couple of projects I created back in December for Crafter's Companion. Here is my first project using one of the new Edge'able dies from Crafter's Companion. This die actually comes with 2 stamps to go along with the die. This die is to be used along the edge of the cardstock or will create an edge on your project. The concept is really cool and there are lots of ways to use these! I die cut the birthday portion twice. Once along the edge of the kraft cardstock and another time from the rose gold glitter cardstock. I adhered the glitter word over the top of the kraft cardstock. This definitely looks better in real life. The colors of the card pop more in person. Thanks so much for stopping by today! Hoping to share more with you in a few days! Season's of Giving Blog Hop Winners! Hello friends! What a great blog hop, right? I had so many wonderful comments from all of you. I truly appreciate you all taking the time and checking out my blog! I am truly thankful for each and every one of you. Congrats to Linda!! I will be getting your prize out to you as soon as I get your info!! I have a bunch of Crafter's Companion projects to share with you this week so keep checking back! !